Techland's Doug Aamoth selects the apps you'll rely on to make that dinner, day trip, road trip cruise, or month-long vacation even better. 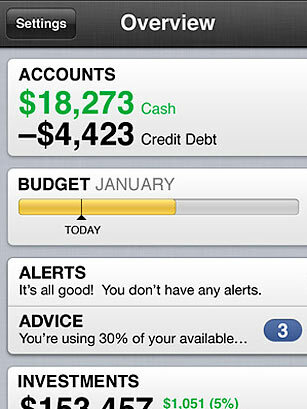 Your various banking institutions and credit card companies may each have their own apps, but Mint.com's app ties them all together and adds up your income and debt so you can put an exact number on the soul-crushing feeling of being constantly in the hole. Better still, you can keep a close eye on the unstoppable fire hose that is your travel budget and rest easy knowing that every purchase you make will be automatically recorded in the appropriate spending category for your records. Even when you're not traveling, the app helps you set a budget for yourself and track your spending and presents you with money-saving offers on financial services like banking and credit cards.